The Lower Kings River is a tailwater that flows below Pine Flat Reservoir. 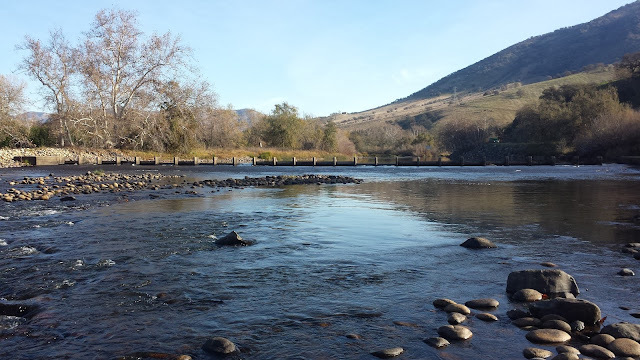 The river is divided into two sections, a put-and-take fishery that is open during trout season (Last Saturday in April to November 15th) from the Pine Flat Dam to Pine Flat Road Bridge and a catch-and-release fishery from Alta Weir to HWY 180 that is open all year. Water is an important resource in the Central Valley that is primarily managed for agricultural purposes. In the winter the Lower Kings is lowered to a minimal 100 CFS in efforts to save water. The flows are gradually raised during the spring and summer and can reach over 5,000+ CFS. The trout that occupy the catch-and-release section are hatchery "brooders" that are planted by the CDFW. 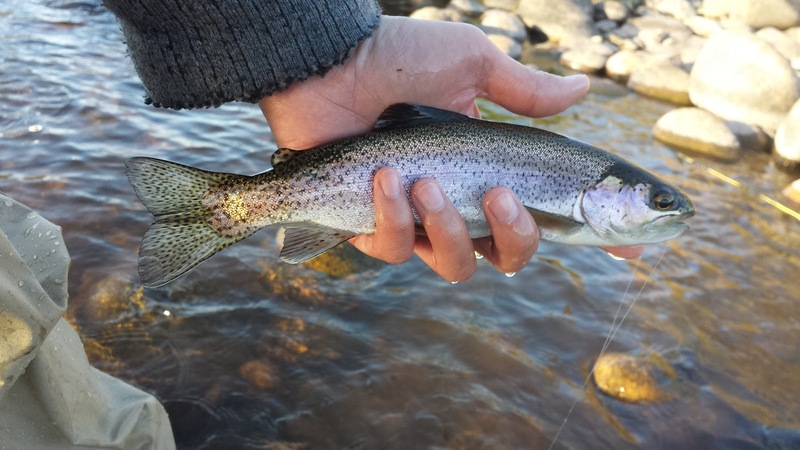 With the help of the Lower Kings Fisheries Management Program this planting program continues to provide an opportunity for anglers to catch and release trophy size trout. These fish are hefty Kamloops that often exceed 18''. During my visit with relatives in Fresno, I managed to sneak out and explore the Lower Kings. Avocado Lake Park is one of the few access points to the Lower Kings. After paying an entrance fee of $5 at the kiosk, I drove around the park and settled for a turnoff right along the river. The river looked like it was in good shape. The water was a bit tinted and low but fishy enough to try my luck. Before putting my line in the water I picked up a few rocks and checked out the bug life. There were a surprising good amount of bugs living in the river with BWOs and green caddis larvae being the most abundant. This river is heavily patrolled by DFG so make sure you pinch down the barbs of your artificial flies and lures. The boulders in this section looked like they were put in to help create fish habitat. I thought this was pretty neat and definitely a good step towards rebuilding a wild trout fishery. 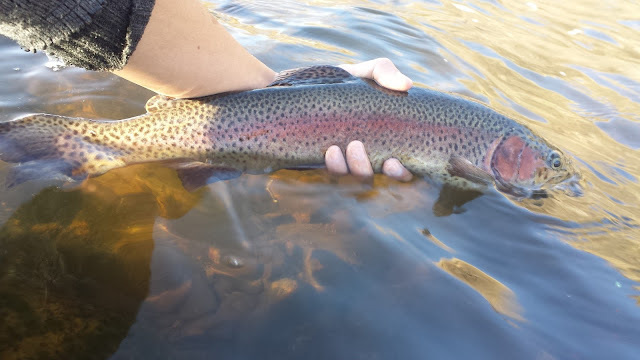 There wasn't a whole lot of good water here but I managed to catch a small and possibly rare wild rainbow. Recent studies show that there are very few wild rainbow trout in the Lower Kings River. This was a good start to the morning. I hiked around a bit and found a nice riffle and pool where I caught my next few fish. These were the big boys that I had heard so much about. They were stacked in this pool and ridiculously easy to catch. Most of them were pretty beat up and didn't fight very hard. After catching a few fish in a barrel I hiked further and discovered Alta/Cobble Weir. After nymphing most of the day I decided to switch it up and swing a bugger below Alta Weir. The riffles in this section were running low so I covered it quickly. I wasn't able to generate any interest so I hiked back to the pool. I caught a few more nice fish and then called it quits. 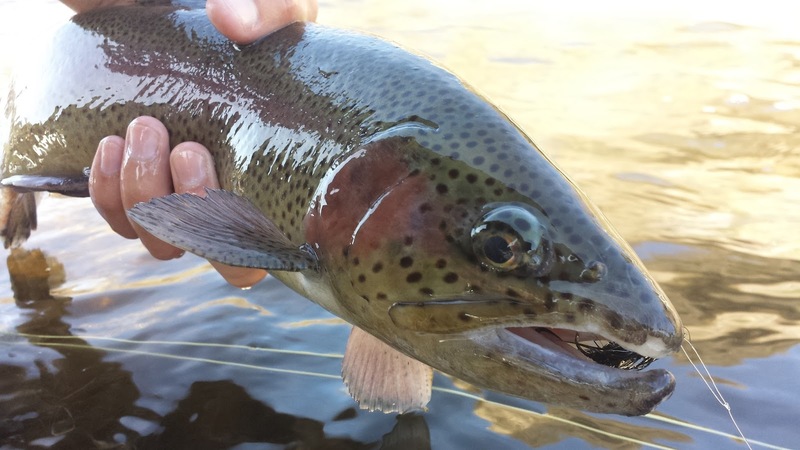 The Lower Kings is a decent fishery that is a great place to visit if you are looking to get out of Fresno or just learning how to fly fish. The big brooders are not very good fighters despite being Kamloops but they are trophy size and easy to catch. 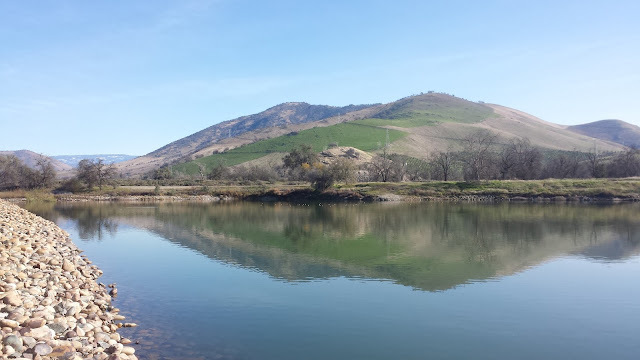 Hopefully with the help of CDFW and the Lower Kings Fisheries Management Program the Lower Kings will one day return to its former glory as a blue ribbon wild trout fishery within Central California. Great to hear you had a good time on the lower Kings. Its one of my favorite winter spots. Your description was spot on. If you get a chance to fish there again you may be surprised what you might catch. Thanks David. I had a lot of fun out there. 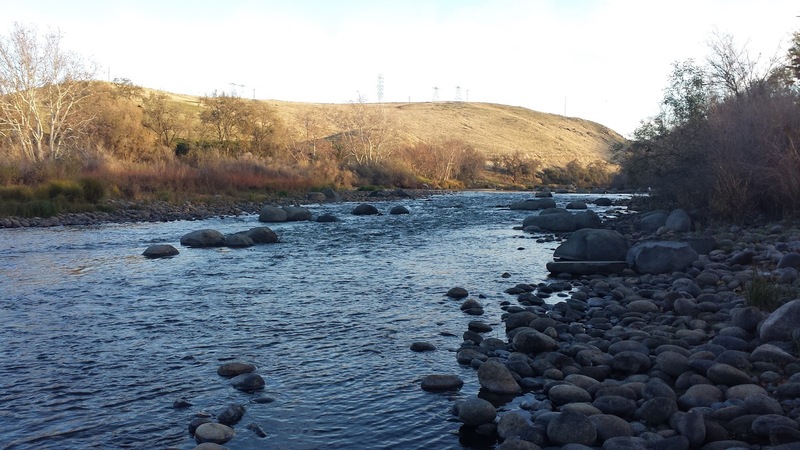 It's a great winter fishery especially with the low flows. I can't wait to return and fish the river above Pine Flat Lake. Thanks for the like. The LKR is definitely a nice place to catch a few fish. 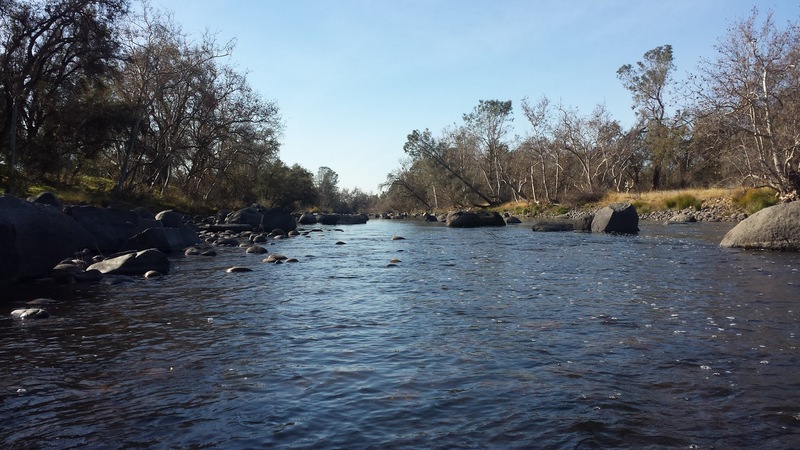 The Sac River is a huge river that's best fished from a boat but many of the smaller tributaries are wadeable with great fishing especially this time of year with the steelhead coming up.